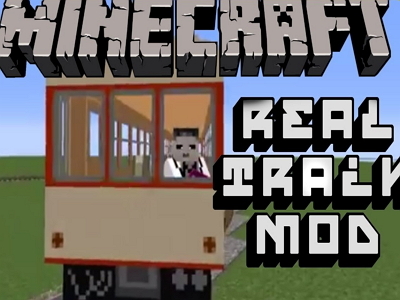 Some Minecraft mods are just for harmless fun, and others have a real depth to them. The real train mod for Minecraft captures the technical realism of train construction and frames around the blocky and constructively deep Minecraft system. Players explore certain inventory containers for supplies and lay down tracks to bring their train through the environment. The sound effects help enhance the realism, as the train barrels down the tracks. The customization goes deep. An electrical train can be built by using overhead wires that run through insulators. The insulators are funneled through various electrical boxes. Players can also craft traditional steam engine trains and reinvent their steampunk fandom. This only scratches the surface of the train mods capabilities and intricacies. Minecraft is often about going as far as possible (which is infinite by the way). But it can take some time to build outward into the landscape, and quick transportation is always a challenge. The train mod allows for transportation across vast distances. Players can almost quite literally recreate the train passage across the United States and visit hills and natural Minecraft engine landscapes along the way. This mod is built to span vast distances in-game, and allow technical junkies to explore the very best of custom engine designs and mechanics. It is a technical mod through and through, and the complexity of Minecraft is pushed to the limit in this custom train building world.